West Drayton station - Crossrail . For information about the Elizabeth line please visit the Transport for London website. Improved customer information screens, station signage, help points and CCTV. Find out more detail about the plans on Hillingdon Council's website. Along the tracks, new overhead lines have been erected enabling electric trains to run through the station. The work is being carried out by Network Rail. The station will remain open throughout the improvement works. 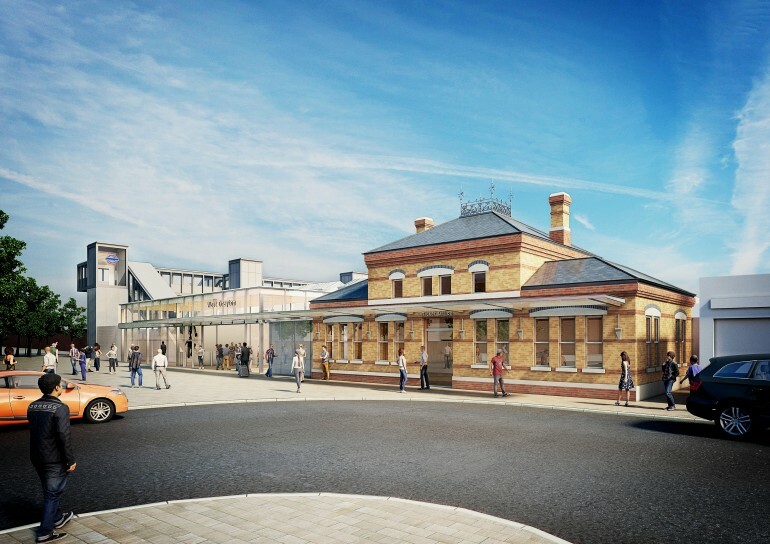 Network Rail's planned works will deliver the station upgrades at West Drayton by December 2019 when Elizabeth line services commence from Reading, Maidenhead and Heathrow through central London. The station is now operated by Transport for London. In addition to the station improvements, Crossrail has been working with Hillingdon Council on proposals for improvements to the area around the station. Early proposals were published in 2014. When the full route opens, up to six Elizabeth line services an hour will serve West Drayton station, allowing passengers to travel right through central London without having to change trains.